To encourage the women employees in India (especially in the private sectors), the Labour Ministry has planned to refund the extended 26-week maternity leave law for seven weeks. The scheme is applicable to only those women workers whose salary is more than or equal to Rs. 15,000 per month. As far as sources are concerned, the Ministry is in the process of getting the budgetary approvals for a total of Rs. 400 crores incentive schemes. The fact is, the condition of the women workers in public and the private sectors vary contrarily.This difference becomes prominent when it comes to the maternity leaves. There are certain benefits for the women workers working in the public sector. But the private sector workers have a primitive approach towards the women workers. And this discourages the female workers from applying for maternity leaves. With the new scheme, women employees in the private sector are said to get benefits during their maternity days. The launch details of the Maternity Leave Incentive Scheme have been mentioned right below with every possible detail. Primary Motto To put a stop to those unfair practices for women in India. With the new implementation of the Maternity Leave Incentive Scheme by the Central Government, women workers would get plenty of benefits. The main aim of this particular scheme is to put a stop of the unfair practices for women during their maternity days.The scheme also denotes that the company has to provide monetary compensation to the women workers and they don’t need to worry about losing their jobs. The scheme is believed to ensure the women equal access to the employment. It also involves other approved benefits to the women alongside adequate secure and safe environment. The key benefits of the scheme have been mentioned below. More advanced maternity facilities –The main objective of the Maternity Leave Incentive Scheme is to offer better facilities to the women workers. It is regardless of whether or not they work in a big or small company. The payment scheme for the women workers –In case the employer offers maternity benefits to the female employees, then the government will eventually pay the employer to the account of the company directly. The leave tenure during maternity –All private sector firms were instructed to offer 12 weeks of maternity leave earlier. This was applicable for the expecting as well as nursing mothers. With the new announcement of this scheme, the government aims at hiking the leave tenure from 12 to 26 weeks in total. The salary structure during maternity – As per the sources, the employees who follow the guideline of the scheme are eligible to get a total of seven week’s salary. The necessary documents to apply for the scheme have been mentioned below. Also, the mentioned below list is the eligibility criteria of the Maternity Leave Incentive Scheme. The size of the office –The total employee strength of the office has to be more than or equal to ten. Only then, the scheme will be applicable to the organization. 2.Salary per monthcriteria–The scheme will be applicable for the employees whose salary is equal to or more than Rs. 15,000 per month. Necessary documents and ID required for the employees –The interested employers, as well as employees, will have to submit their photo ID proof and their official documents for the authentication. Until now, there hasn’t been any official announcement regarding the list of certificates required to submit for this particular scheme. The structure of the company –The scheme will benefit the female workers working in any organization or firm. Not just that, the female workers working in mining fields, malls, and shops will also beeligible for this particular scheme. Other private sector criteria –The scheme is designed for the companies which fall under the unorganized as well as private sectors. It will also safeguard the job and rights of the female workers. 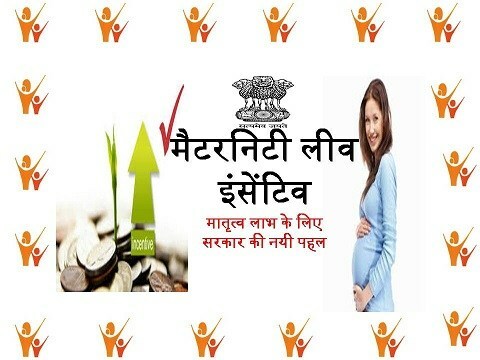 Prime Minister Narendra Modi has already announced the Maternity Leave Incentive Scheme. While this true, there isn’t any official implementation, for the time being. But the authority might work on regulation as well as funding related aspects to launch the scheme as fast as possible.Upon then, the implementation will be announced along with the application process. As soon as the implementation is announced, you will get pertinent information regarding the registration procedure and how to get the application form. While there are several benefits for women working on public or Government sectors, women working in the public sector often get lesser benefits. With the new Maternity Leave Incentive Scheme, the women workers are expected to get a huge benefit. Until any further news and reports surface about the new scheme, one can stay tuned right here.